From July 1st, 2004, to June 30th, 2012, the Department of Statistics at the Technische Universität Dortmund, supported by the German Research Foundation (DFG), provided a Research Training Group (Graduiertenkolleg) Statistical Modelling. After nine successful years, the group has now ended. 4. Algorithms for the validation and realization of statistical models. General topic is the interaction in statistical research. Members of the Research Training Group are the Professors of the Department of Statistics, Technische Universität Dortmund. 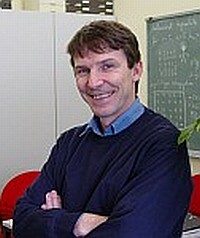 Speaker of the group is Prof. Dr. Joachim Kunert. The Research Training Group usually offered up to 12 full time grants for PhD students. Additionally, PhD students from the Department of Statistics participated in the group.